The four-piece children's cutlery set is made of Cromargan®: stainless steel rustproof 18/10 and is suitable for children aged 3+. The rounded ends of the handles are adapted to the motor skills of the youngsters and are pleasant for children to hold. This cutlery can be personalised by having it engraved with your child's name. An attractive and individual gift that children enjoy - and adults equally since it is easy to care for and dishwasher safe.  Please note: engravings are only available in WMF stores and cannot be ordered online.